admin 23.07.2017 24.07.2017 No Comments on The criminal case against Irakli Kapanadze. 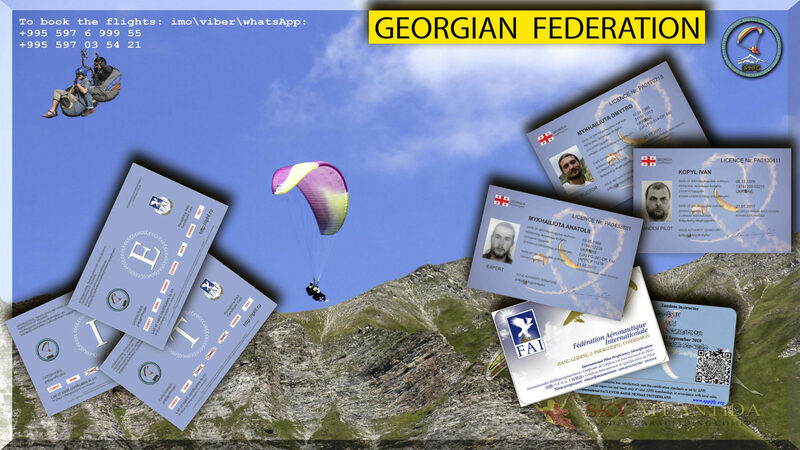 A few days ago, Irakli Kapanadze, being the head of the public organization paragliding Georgia, attacked and beat up the president of the International Federation of paragliding – Mykhailiuta Anatoly. Irakli did not comment on his actions, refusing to greet any member of the Federation. Of the threats, Irakli stressed that he will not allow us to officially work in the territory of Georgia of our Federation, as well as all companies that cooperate with our Federation. It is worth noting that Mr. Irakli has maintained his personal federation for several years, providing licenses and insurance. Monthly Kapanadze collects 150 lari from each insured pilot, although the insurance is registered in the name of Kapanadze. All pilots who pay money for insurance, Irakli explains that the insurance covers both the pilot and the passenger and is a full-fledged for this type of business. At the same time, in the insurance company, where Mr. Kapanadze is insured, they explained that the insurance costs 12 lari per month for each pilot, covers only the health of the insured (does not apply to the passenger) and that the insurance is designed for an accident and does not cover the business associated with providing ectrim Services (tandem flights on a paraglider). That is, if God forbid, any pilot and his passenger will suffer when committing a commercial tandem flight, the insurance company will not pay a penny. At the same time, Mr. Kapanadze collects net profit from each pilot by 138 lari per month, evading taxation (and more than 20 pilots). In addition, there is a fact according to which Mr. Irakli took money from the pilots, claiming that they are insured, and did not even pay 12 lari, leaving the pilots without insurance in general. In this case, the pilots were told tales that the insurance is activated and valid. Also in the Gudauri district, where paraplane commercial flights are taking place, Mr. Irakli captured one of the public starts, pilots were beaten, including Yaroslav Sokolov, Zviad Alania, cattle breeders, shepherds working nearby. No documents for the land were provided. At the same time, for every start or landing from the territory of the seized start, a secret fine of 30 GEL is imposed. Given that each pilot makes an average of 5 flights a day, Mr. Irakli earns well without paying taxes.